What’s in a Name? Why baseball of course! 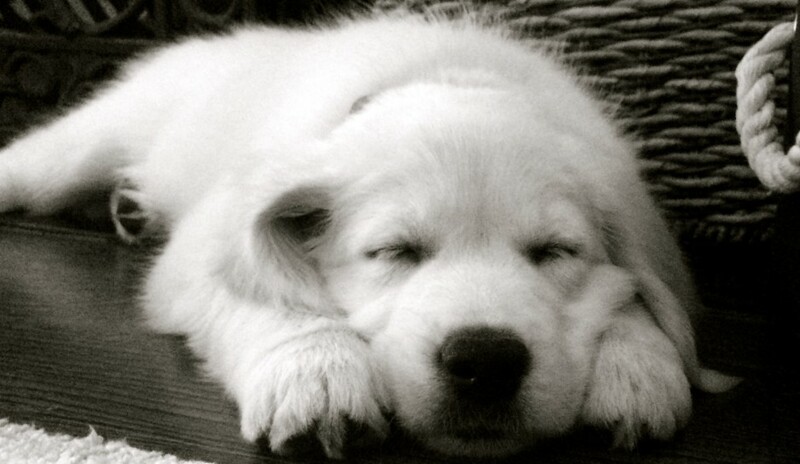 When it comes to puppy love and finding a name for your pup, it’s not about love at all. It’s a battle to get your favourite name to come out on top! Just like trying to decide on a breed, choosing a name for our pup via consensus was filled with many passionate debates. Four people with a veto over one another’s names didn’t help the process. But that’s ok. Naming your dog is one big and important decision. My little niece, who is afraid of anything furry that moves, offered her favourite name. She said she will like our dog if we named him Harry, as in Harry Styles from the boy-band One Direction. Well, Harry is cute I must admit. And so is the name. However, my boys didn’t wait a nanosecond to shoot that name out of the water. The one thing my family agreed on was that the dog’s name had to be baseball-related. Both my boys play competitive baseball, and we spend much of our summer at baseball diamonds and travelling to many tournaments. At the breeder’s 3 week-old pups visit, we chatted with other families about names. One couple had a name locked up, and chose a hockey-themed name. Their boy puppy will be called Bauer. Great name. Another family we met was in the same boat as us; close to finalizing a name. This family looked to their favourite movie characters for inspiration. They threw out names like Bilbo, Frodo and other characters; then tried more standard names like Max and Cooper and finally landed on Reilly. But I’m told, they are not sure if it will stick. The list of names we went through included: Jackie and Robinson after the first black person to play in the major leagues; Robbie for Toronto Blue Jays’ Hall of Famer Roberto Alomar, and Joey for Canadian-born Joey Votto of the Cincinnati Reds. In the end we decided on Carter as the name for our puppy. Carter, as in the Toronto Blue Jays’ Joe Carter, who hit THE home run in dramatic fashion during game six of 1993 World Series. It was the bottom of the 9th, runners on first and second, Toronto was losing 6-5, and on a 2-2 pitch, Carter sent the ball over the left-field wall. With that home run, the Jays won their second consecutive World Series. Maybe our very own Carter will bring good luck to my boys this summer. There’s nothing like hitting a home run, and nothing better than watching your kid hit one out. This summer I’ll have someone helping me cheer on my boys from the stands. Can’t wait. For all my 20-something classmates, here’s Carter’s home run in case you missed it the first time.